Adriatic Kayak Tours is an American owned and managed Croatian company. After exploring the Dalmatian coast and islands on her own- by foot, kayak, and bicycle - Tamsen Resor (Tammy) discovered the region's greatest charms were beyond the reach of most tourists. Tammy established AKT in 2005 to offer guests an active holiday experience and a chance to venture beyond the usual tourist spots. "When I first discovered the natural beauty of this area I knew I had to share it with others. Starting this company brought together all my divergent interests: the outdoors, physical activity, a culturally rich and exciting place, and an international clientele." Tammy received her outdoor education/ wilderness training from NOLS (National Outdoor Leadership School) in Wyoming, Kenya and Mexico and holds a Level III BCU Certification. Ivor Kajfez, from Zagreb, earned his Masters in Kinesiology, choosing sailing as his major. He’s on his way to becoming a licensed skipper. He understands the sea on multiple levels, from sea level seated in his kayak cockpit, and from a higher vantage point, on the deck of a boat. 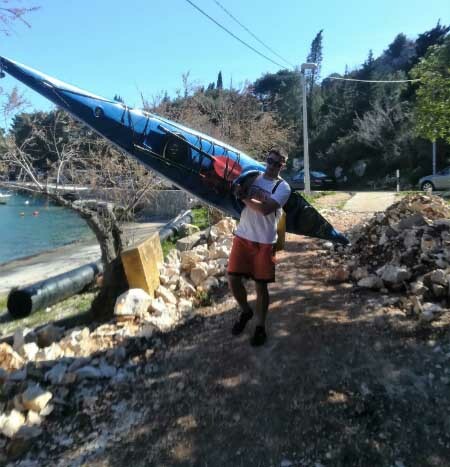 Clearly drawn to the sea, Ivor enjoys sharing Croatia’s beautiful coast, sea and islands from both vantage points, with no motor and a paddle or with a motor and no paddle. Ivor’s self-proclaimed fear is the thought of “being stuck in an office for 10 hours a day”. In winter he gravitates to the mountains to ski and snowboard. 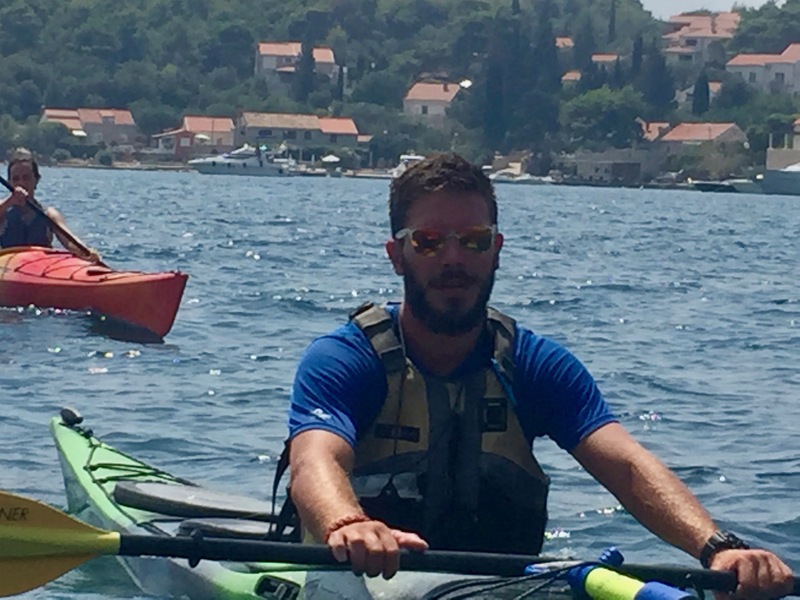 Ivor is an ACA (American Canoe Association) Level 3 Coastal Trip Leader; 2018 is Ivor’s second season as a sea kayak guide at AKT. Marko Polich is from Ogulin, Croatia. He is a forest engineer by education; an adventure seeker by call. Marko's interests and achievements cover all terrain: mountains, seas, rivers, and slopes. Marko serves as a mountain rescue guide with the Croatian Mountaineering Association; he is a grade IV/V whitewater trip leader with the International Rafting Federation. He competed in the World Rafting Championships in Chech Republic in 2003 and led a Croatian Alpine Expedition on Annapurna II in the Himalayas in 2008. “I've paddled about 35 rivers throughout the world. I love water in every state it comes on Earth: water, ice, snow, steam...I still don't know what to do with the steam". Ivan Piper comes from the Medieval town of Pozega in northeastern Croatia, a region without mountains or sea. He makes up for it by spending his winters in the mountains and his summers in the sea. In addition to working as a professional ski instructor in Austria and Italy during the winter and as a sea kayak guide in spring, summer, and fall, Ivan is just a few exams away from his Masters in Law (he’s an “almost” lawyer). Ivan chose one of our little kayaking islands, surrounded by our bright blue sea, as the site of his wedding in the middle of season 2017. Additional interests include mountain biking, dogs, photography, and wine. Ivan has returned to AKT for a third season. He holds an ACA (American Canoe Association) Level 3 Trip Leader certification.